Have you ever thought of confronting a genie? Have you ever imagined how they look? No? Not yet? Well! For that you can go to the genie valley (wadi-e jinn) near Madinah to try your luck to find a genie. You might or might not find one there. For Muslims genies exist. They have a belief that Allah has created a great number of creatures like animals, humans and genies. Several verses of Quran confirm the existence of genies. The Holy Quran has a surah regarding genies as well. Hence, there is no doubt of their existence. Genies do exist but to our ill fate we cannot see them. Can you Imagine, A car moving on with the speed of 120 km/h on a straight or ascending road? Nah! It cannot happen, science does not approve of it right? Well! You can experience this at wadi-e-baidah. Car moves on its on being in neutral gear. This road is present in the west of Madinah. It takes only 30 minutes of drive to reach this place if you start from the center of Madinah. 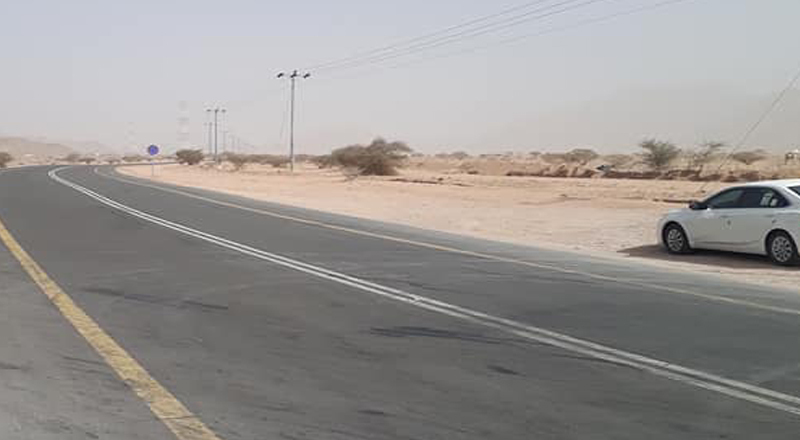 As there is no possibility of a car moving on its own on this road without being geared hence, this phenomenon is attributed to the super natural forces or genies by the natives of Saudi-Arabia. They have a certitude that genies play a role to speed up the car. Some of the people say that they hear strange voices here when they stay at this valley at night times. Some say that they experience strong magnetic pulls in their bodies. Some of the people tell that they have seen water moving upwards . All these things make people believe that this is because of genies. The ascending movement of the car in this valley is totally not a lie. Some of the scientists have proposed great reasoning for this speedy movement of cars in neutral gear. They say that the road has a slope. It descends, but the optical illusion makes it appear ascending. Such mountains are named “gravity hills or magnetic hills.” This is all an illusion! Nothing else. There is no involvement of genies in speeding up or ascending of the car. There are many such mountains around the globe, with similar phenomenon happening. Even if there are no ghosts or jinn you can have great fun there. The experience is going to serve you with great thrill. Moreover, you can see a big optical illusion with your own eyes. This is not enough, you can find enticing things and views on your way to this valley. A small pond is also present in the way of this valley, this is a great site for the people who live in deserts. You can even find if there are some genies or not as genies exist and they might be present at this place. Though it is an optical illusion, but it is fun!